Easter at Agua Caliente Park on Sunday, April 21, 2019 will be first come first serve. Park will close when parking lot is full. No parking outside the entrance gate and walking in. When a vehicle leaves one will be allowed into the park. It is recommended groups come together. 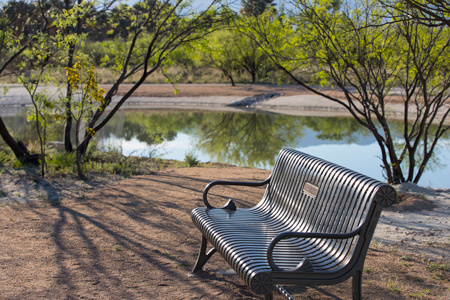 Park opens at 7:00 a.m.
Pima County is beginning the process of restoring Pond 1 at Agua Caliente Park.